Perfectly preserved original features, updated spaces, and luxurious additions combine in this stunning estate. 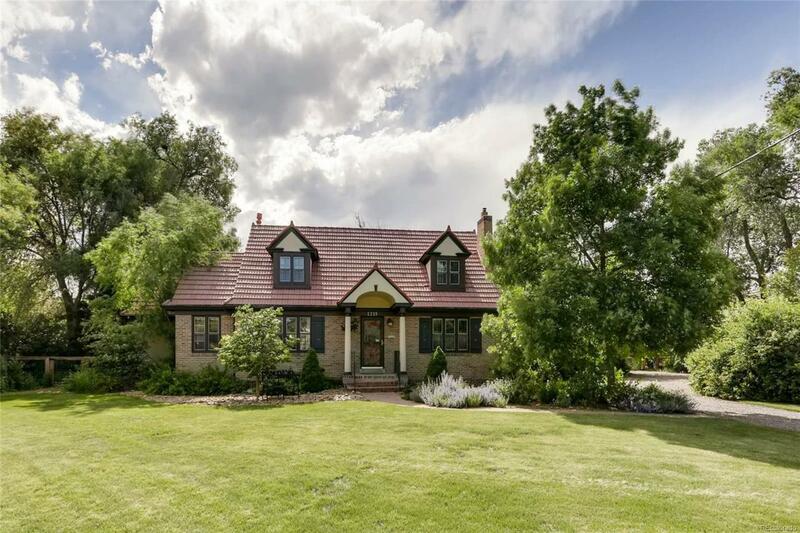 Nestled on a tree filled acre that is zoned for horses you will find a spacious main house, newly built guest house, 1023 sqft artist studio, and 4 car/1 car garages. The stand out features of this home are too many to list! *Updated kitchen w/gourmet appliances *Updated baths w/clawfoot tub, steam shower & heated floors*2016 addition w/master suite, breakfast room, pantry & laundry room *3 fireplaces *Original Ernst Batchelders tile fireplace surround *Library w/built in shelves *Bonus room over family room*Tankless H2O *French doors that open to the central patio *Original light fixtures *783 sqft guest house new in 2016 perfect for multigenerational living, nanny, or guests *1023 sqft artist studio *Shingle roofs replaced & tile roof repaired in 2017 *Walk to lightrail and Lakewood Country Club*Minutes to Belmar, Sloans Lake, 6th Ave & Downtown!